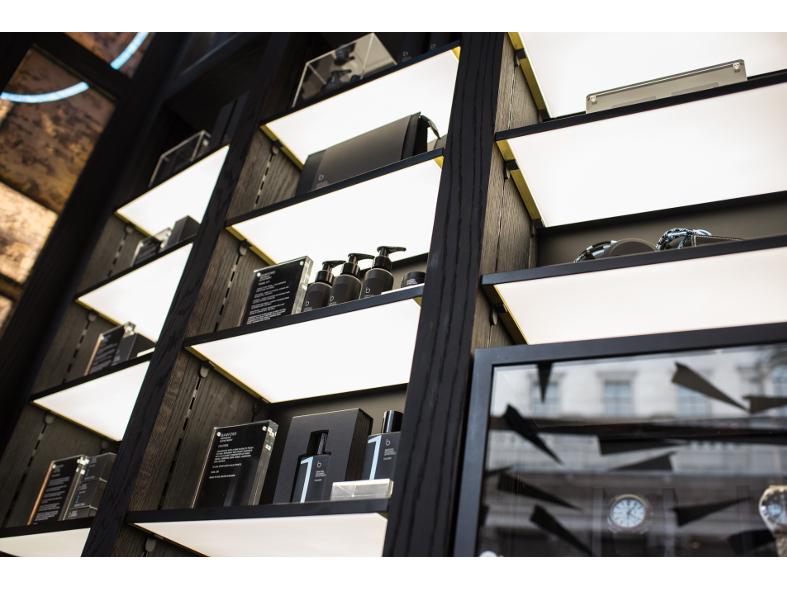 Pixalux illuminated shelves were selected for the Bamford Store opposite the bank of England. 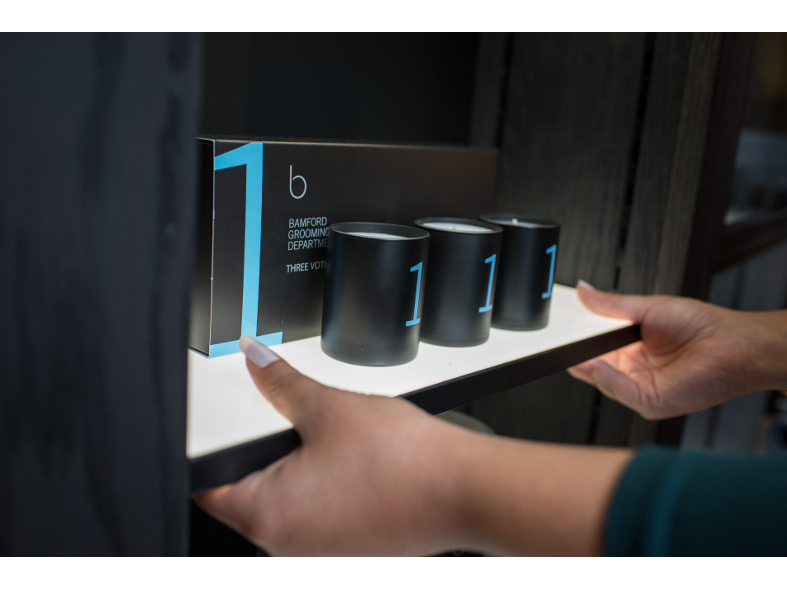 Crawford and Gray Architects worked with Pixalux UK to create a highly effective solution for illuminating the shelves in the new store. 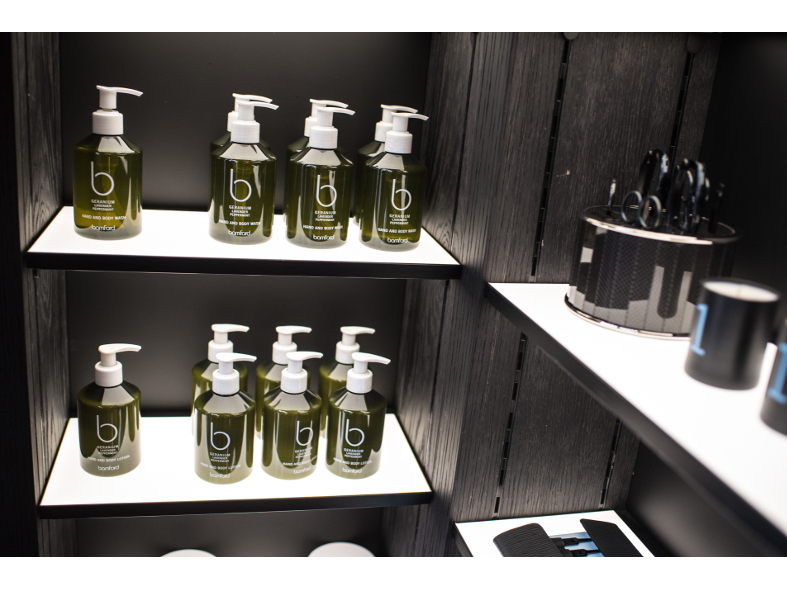 All shelves were illuminated on both sides, throwing light on to the dark packaging from above and below. The shelves are supported on adjustable brackets built into the side panels, which also serve to provide the power to the shelves. This means that the shelves can be moved up and down without having to worry about electrical cables.